Will Twitter's New Cyberbullying Crackdown Be Successful? As Twitter announced Tuesday that it will try to crack down on cyberbullying, users weighed in on whether it's even possible, especially in the current political climate. "I see the Internet as a huge monster that is too big to be tamed," said Christopher Ferraro of New Market, New Hampshire. "When things get political, they can get a little dirty and people are now starting to cyberbully people who are Muslim, or people who are LGBTQ or of color," said Nupur Amin of Boston. "Twitter's not really good at stopping stuff from happening, they just kind of perpetuate it because it's kind of people echoing back what other people are saying," Mitchell Collins of Boston added. But Twitter is taking a new approach, giving users control over muting keywords, phrases and conversations, as well as allowing for more direct reporting of abuse and more targeted enforcement. 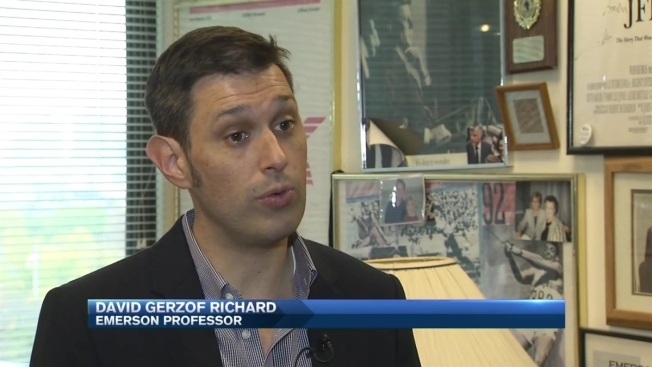 "I think it'll certainly help cut down on it, but what we've seen, for example with ISIS where we shut down one Twitter account, another one pops up again," said Professor David Gerzof Richard, a communications scientist who has taught social media courses at Emerson College for about a decade. He says he thinks this is a step in the right direction to give all Twitter users the power to self-report. "Because there's just no way to be able to track every single tweet," Richard said. "There's millions of tweets a second right now, and no one person, or even one group, can monitor it all." Others we spoke to think bullying transcends social media and its power to stop it. "Sad to say but I think it's just the nature of people," said Philip Paul of Boston. "These sites are going to be gone in a couple of years," said Darian Swan of Boston. "We're still going to have bullying, it starts at home."